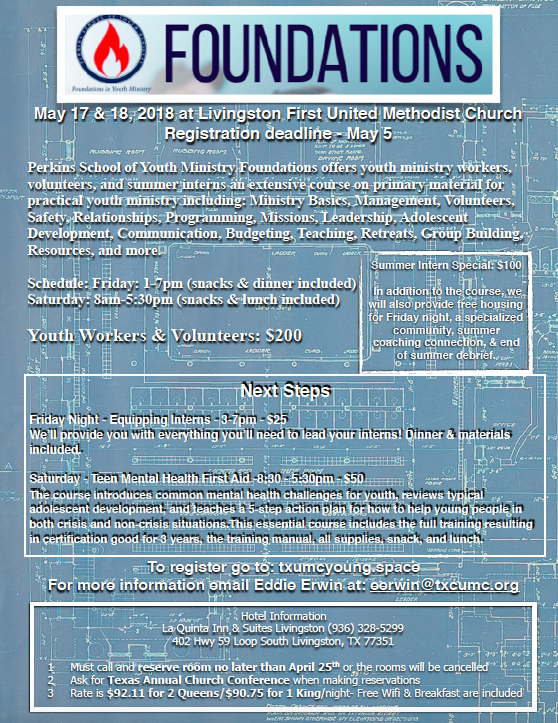 Foundations is everthing you need to get started in youth ministry! We’ve got a special deal for college-age interns with some extra time to prepare them for their internships, community development, & housing! Our Next Steps are for those who work with young people and have a little experience under their belts. Friday afternoon we’ll spend some time with those who are supervising interns over the summer. Saturday we are offering a new certification in youth mental health first aid from 8:30-5:30pm. This is a certification that is good for three years and critical training for anyone who works around young people.